Lawn Mowing Business - Start a Lawn Care Franchise or Independent Business? When people decide to start a lawn care business one of the first decisions that they face is whether to go with a franchise or their own independent startup. Let's take a look at some of the advantages and disadvantages of these two different routes for a lawn care business. When you become a franchisee and invest in a franchise you are buying into a business model with systems that have proven to work again and again. In theory a lawn franchise that has proven itself should be able to be set up almost anywhere in the US and should see success consistently. In reality though this is not always the case and many franchises do fail, just like regular businesses. The benefits of the franchise route are that you receive full guidance in setting up the business and on an ongoing basis. This usually includes assistance with a business plan, relevant training and support in all aspects of business operation and marketing. With the information that you gain access to you can avoid some of the many hours of research and preparation that independent business owners go through to get started. Lawn maintenance skills, business management and marketing are not difficult to learn though. Those that do put in the hard work from the beginning and take the independent approach often build stronger business for themselves in the long run. In other words, a franchise offers you an easy road in the beginning but you may end up making sacrifices later on. A franchise will place limitations on the freedom that you have to develop your business as you like. It may therefore limit the level of profit that you can achieve. Another advantage of a franchise is that you gain access to a brand that should already have a good reputation in the market. Make sure that you do your research to confirm that this is indeed the case. This gives a franchisee an advantage when it comes to marketing as they can usually market their services more easily if they represent a well known brand. On the other hand, those who take the independent route will have to develop their own brand and build up a reputation over time. 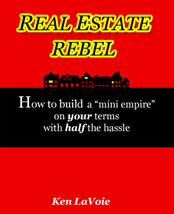 The main disadvantage with franchising is the cost that you pay for the privilege. These costs include annual fees and ongoing obligations that could involve anything from buying supplies from the franchisor to being forced to contribute to advertising campaign budgets. 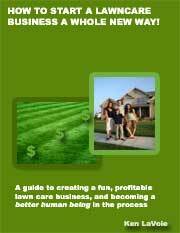 Instead of paying all this money out to a franchisor you could be investing these funds into growing your own lawn care brand. Many individuals who start franchises find that the early guidance offered by the franchisor is great. After six months to a year though, they often find that the limitations placed upon them by this kind of arrangement can be too restricting. A franchise usually comes with strict conditions relating to what you can and cannot do. New opportunities may arise to move into new lawn care markets but you may find yourself blocked by your franchise agreement. If you talk to people who have experience running franchises or look into some of the related information online you will find those who have had both good and bad outcomes. All too often though business owners end up disillusioned with the franchise route and some end up going independent. One common complaint is that franchisers have permitted too many branches to operate in the same areas and thus created excessive competition among the franchise owners. 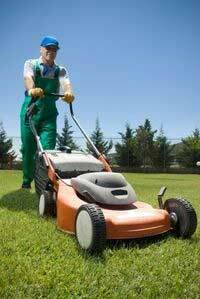 If you decide that you really do want to open a lawn care franchise then you should make sure that you read the franchise agreement carefully. Talk to a lawyer if necessary and make sure that you have a clear exit strategy if you really want out at a later date. You should also try to look for accurate statistics related to the failure rate of the franchise in question. If you decide to start a lawn care business from scratch then you may be competing against franchises for business in your local market. Make sure that you study them thoroughly when you do your market research. Look for their strengths and weaknesses and devise a strategy for competing against them. Overall I feel that the independent route offers entrepreneurs the best path into the lawn care business. The industry has low barriers to entry and lawn care is easy enough that anyone can start out from scratch on their own. Put money into developing your own business instead of accepting the costs and limitations of a franchise.